Welcome at restaurant Sunand, our Anglo-Indiase restaurant. The Indian kitchen knows a great variety of herbs and spices. Sunand will take you on a journey through this tasty and exotic kitchen. 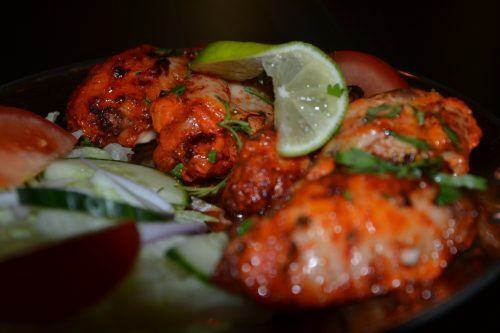 We especially recommend our tandoori dishes, cooked by our cook in the traditional clay oven. 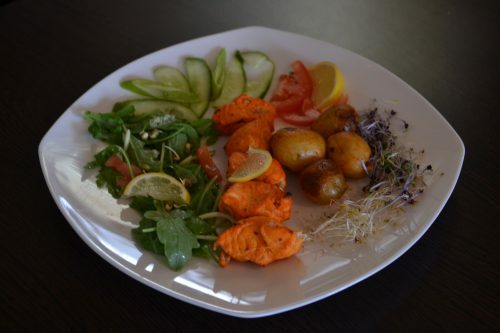 Tandoori dishes originate from the region of Punjab, a province in the west of India. The meat is marinated in yoghurt and a mix of different spices, after which it is grilled in our clay oven. We also recommend our curry dishes! 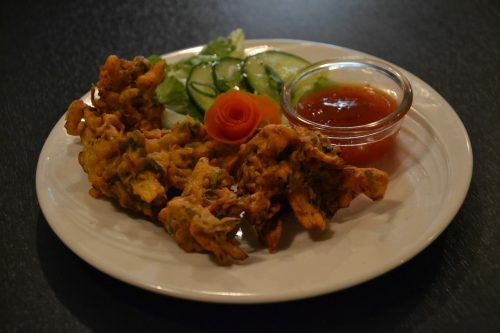 All our dishes are halal and we also serve a large amount of gluten free dishes. Please contact us if you have any questions! Historical events such as foreign invasions, trade relations, and colonialism have played a role in introducing certain foods to this country. Indian cuisine has also shaped the history of international relations; the spice trade between India and Europe was the primary catalyst for Europe’s Age of Discovery. Spices were bought from India and traded around Europe and Asia. Indian cuisine has influenced other cuisines across the world, especially those from Europe, the Middle East, North Africa, sub-Saharan Africa, Southeast Asia, the British Isles, Fiji, and the Caribbean. Take a look in our gallery! 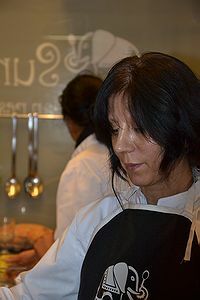 Let me introduce myself, I am Manjit, owner of restaurant Sunand. Being raised in an Indian family from Essex, London, I always wanted to start my own Anglo Indian Restaurant. Destiny brought me to Noordwijk and in 2012 I decided to live my dream and set up Sunand. The name Sunand means happiness and joy to me as it is a combination of the names of my two boys, Sundeep and Anand. At Sunand we serve dishes from North and South India and we always serve our dishes as fresh as possible. Our Indian chef mr. Singh will take you on a great journey through colorful and culinary India. I would like to contribute this to my mother who taught me the value of all the Indian spices while growing up and to my children and husband, who all have been supporting me in building Sunand. And of course a great thank you to all our guests who made it possible to build our succes! Don’t wait and visit us for an exotic dinner!